The Irish Times reports that the Taoiseach proposes to raise gay rights with American vice President Mike Pence during his visit to the States. 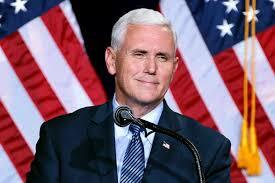 Pence has opposed homesexual marriage. It seems from the Times report that Varadkar has said at a festival in Austin, Texas that it was “really tough to see a country built on freedom, build on individual freedom, not being a world leader in that space anymore. Varadkar is in the States for St. Patrick’s Day to plug Irish interests.